Every bit of the unmistakable brightness and warmth of white birch is captured in Real Fyre White Birch Gas Logs by Peterson. The beautiful, papery-white bark and dark accents are handpainted right on the gas logs' surface to create an extraordinarily realistic look. The inside is made of high-quality refractory ceramics and steel reinforcement rods to make sure these gas logs last you a lifetime. 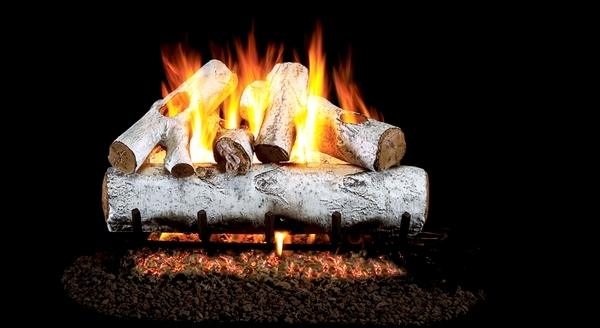 White birch is a unique look that Peterson is proud to offer as part of its amazing Real Fyre gas log line. If you're looking to add a quality set of gas logs to your fireplace and want to make sure it's something really special, try something new with the Real Fyre White Birch Gas Logs by Peterson. Looks amazing, easy to install and great customer service! Will order another set for our 2nd fireplace! Love the logs. We self installed with ease. Arrived with some broken logs but the company fixed fairly quickly. Great customer service, quality, prices. Original shipment arrived crazy fast! Nice set. Delivery was timely. Nice looking set. Easy to install although not all parts fit in place easily. Had to do minor adgustments to make log basket fit in place. So far used it a couple of times and seems to work properly. Did not come with lava rocks. It was an optional item but should have been included at that price! ProsNice looking log set and quite easy to install. Timely delivery. ConsNeeded some adjustment to fit log basket on top of fire pan. Log set box did not come with log placement positions instructions. Had to look up on website. For the price sold it should have come complete with lava rocks. From beginning to end efireplace answered my questions and expeditiously address a damaged shipment. 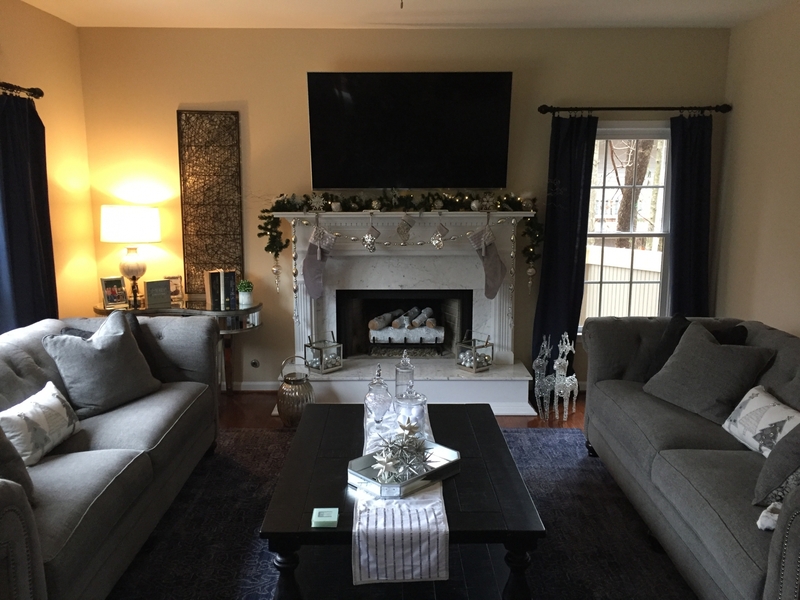 I am very pleased with the gas fireplace log set and especially with efireplaces' staff accessibility and responsive follow-up. Looks exactly like a "Real Fire"! We could not be happier with this Log set....Perfect for taking the morning chill out of the family room. I called in my order and your Rep was awesome! He hooked me up with exactly what I wanted! I have a white stone fireplace and these logs make it pop. Well constructed, nice flame. Only 1 problem... Burner valve wont turn. A Nice Addition to Our Home. Bought these hoping they would look good - they look great!! Everyone comments on how beautiful these logs are and how realistic. Thank you for a great product!! ProsEverything - look, ease of installing, price. We had this gas log set installed in our existing wood burning fireplace and have been pleased at the way it eliminates downdrafts, which we used to have trouble with. We're happy with the logs, but you should be aware of a few small issues: (1) You can't use the mounting tabs when you install it because they interfere with the control knob and ignitor button. (2) We thought that the control knob and its shaft were of poor quality--kind of cheap. (3) We had trouble figuring out how to install the grate over the burner correctly. Like I say, though, overall we're very pleased now that it's installed.